Multi-physics, multi-scale and multi-stage models from the basin to prospect scale. 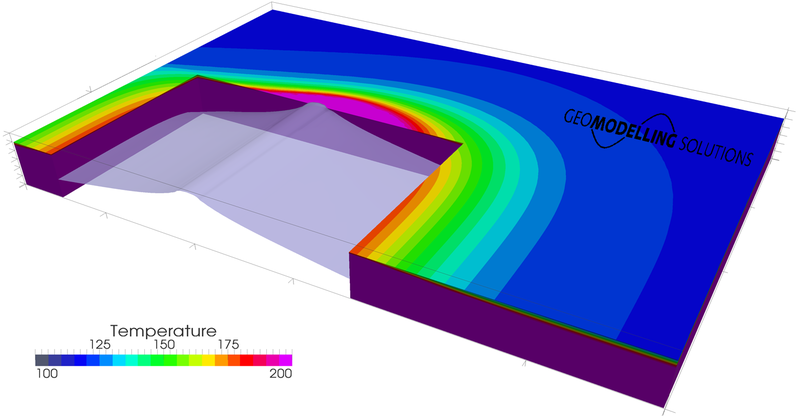 TecMod combines a sophisticated geological process model with an optimization engine. Sedimentation, flexure, isostacy, underplating, sills, multiple rifting, multiple breakup. You name it - it's all there. Build on our expertise in numerical modelling, basin reconstruction and petroleum system analysis. Get access to our standard and custom tools or outsource case studies to us. Client-specific custom models investigating the effects of sill intrusions on organic matter maturation and hydrocarbon migration. 2D and 3D modeling of tectonics and salt movement. The next generation numerical models. Unique custom models when no other tools exist for the problem. 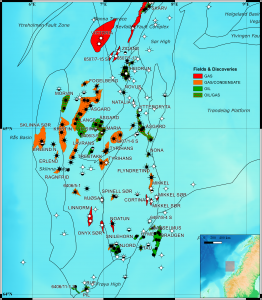 Data in the oil and gas industry comes from many distributed sources and a variety of formats. We bring order into your data and develop tools for you so that the routine analysis takes minutes instead of days. GeoModelling Solutions performs petroleum systems analysis in addition to developing tailored numerical models and case studies based on the clients’ needs. Realistic and reliable numerical simulations of geological processes require solid interdisciplinary know-how in the fields of geology and applied mathematics. GeoModelling Solutions guarantees reliable and competent execution of the simulations which are performed by professionals with in depth knowledge of geology and applied mathematics.